St. Vincent de Paul Academy was built by the Vincentians in 1906 and is an architectural landmark in Kansas City, Missouri. It is built of Carthage stone in the Georgian style and was constructed as a "fireproof" building, a new concept at the turn of the century. It was purchased by the SSPX in 1989 and was re-opened as a school in 1990. 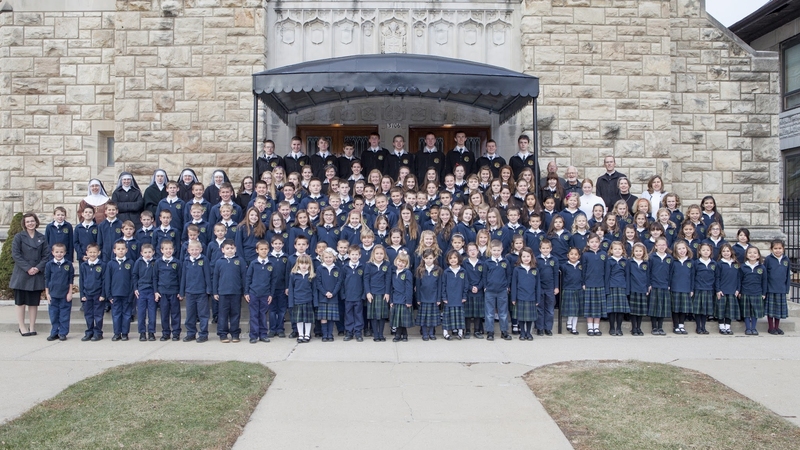 Prior to the historic building's purchase and restoration, the school was located in several rented facilities in the Kansas City metropolitan area and was called Our Lady of the Rosary Academy. The academy now has about 170 students from Kindergarten to High School. The principal is Fr. Michael Goldade. St. Vincent's Academy is next door to the church and to the priory too. Kansas City offers many job opportunities and though a major Midwestern metropolis with many cultural offerings, it has a small city atmosphere. Watch this presentation of our school!